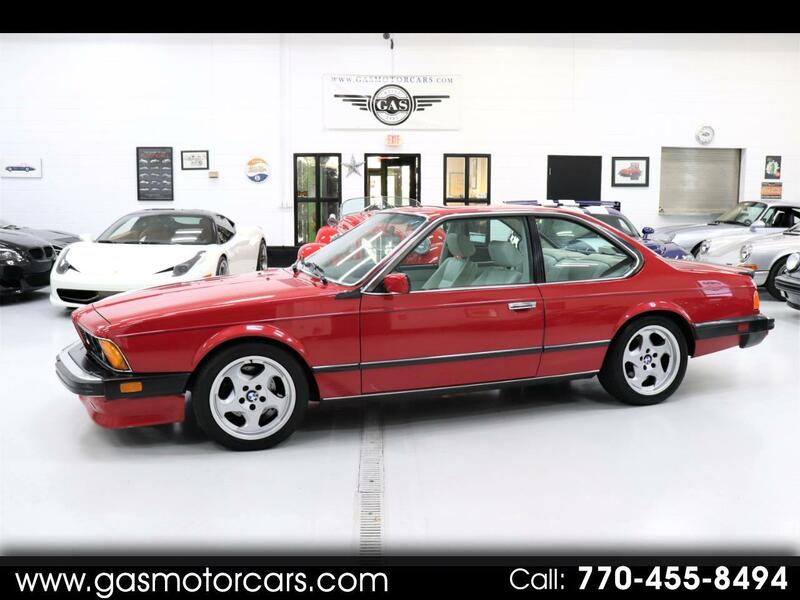 SUPER RARE 1987 BMW M6. CINNABAR RED OVER LOTUS WHITE INTERIOR. BMW CCA MEMBER AND CAR COLLECTOR OWNED FOR LAST 15 YEARS. IMMACULATE INSIDE AND OUT. FULLY DOCUMENTED PURCHASE AND OWNERSHIP HISTORY WITH ORIGINAL BILL OF SALE, ORIGINAL WINDOW STICKER, AND SERVICE RECORDS. TONS OF UPGRADES. DINAN CHIP AND CAM GEAR, RACING DYNAMICS STRUT BRACE, M5 WHEELS, 850 BRAKES, EURO HEADERS, SUPERSPRINT EXHAUST, TRACK TEST PIPE, UUC SHORT SHIFT KIT, BILSTEIN SUSPENSION, AND MUCH MUCH MORE. THIS E24 IS FAST! SOUNDS AMAZING, HANDLES GREAT, AND SHOWS VERY WELL. GAS MOTORCARS IS A FAMILY OWNED AND OPERATED DEALERSHIP LOCATED IN MARIETTA, GA. WE ONLY SELL VEHICLES OF THE HIGHEST QUALITY. WE CAN PROVIDE CLASSIC CAR FINANCING FOR QUALIFIED BUYERS. WE CAN SHIP WORLDWIDE AT THE BUYERS EXPENSE. WE SHOW VEHICLES BY APPOINTMENT ONLY. Message: Thought you might be interested in this 1987 BMW M6.